Don’t turn your back on wisdom, for she will protect you. Love her, and she will guard you. A common goal for many parents and grandparents is for their children and grandchildren to learn how to master their money and not have money master them. Leaving a financial legacy is about more than leaving a financial inheritance to the next generation. It’s about teaching them how to be good stewards of what God has blessed them with. It’s also about family, a shared family history and shared family values. In your family is the next steward chosen and prepared? This is one of the most important stewardship decisions you will need to make. A beneficiary should be prepared to receive an inheritance, not surprised. The Bible talks a lot about wisdom as seen in the scripture above. There is something called The Wisdom Principle – Never pass on money or wealth without first passing wisdom. Wisdom is the skill of living life well by making good, sound decisions. Wealth will never create wisdom, although wisdom can create wealth. All money decisions are also spiritual decisions and with money comes emotion. 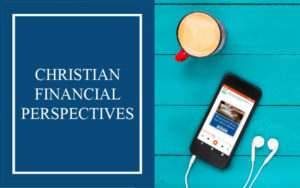 An inheritance may have disastrous outcomes for some depending on the child, their relationship with God, and their ability to handle the financial responsibility. This requires prior planning and prayerful consideration. Enormous wealth left to an untrained heir is often squandered. Money management is a skill that can be taught. As is true with most parenting lessons, modeling is the best teacher. More is caught by example than is taught. 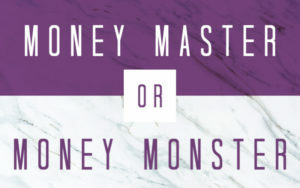 Mastering money has more to do with our attitude toward money than anything else; what we do with it and why, how we manage it or how we let it control our lives. Money can be a monster if you don’t first learn to master your emotions about money. Teaching children in regards to money issues has a generational impact. Money issues are heart issues. When money comes up, we instinctively fear conflict, exposure, shame or loss of control. Financial conversations take courage and can be uncomfortable. The biggest challenges you have are today’s cultural battles and images. We are constantly bombarded with competing cultural messages that influence our kids at every turn whether they are 10 years old or 25 years old. 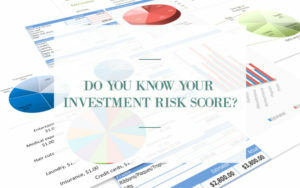 Many parents think that their kids will learn about money management as part of school curriculum but this is not true. We live in a credit society, buy now pay later. 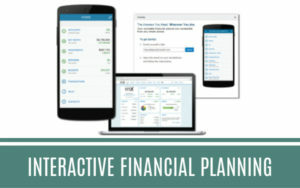 Kids no longer learn basic financial skills such as balancing a checkbook or the power of compounding. Do not make the mistake of assuming your kids know how to handle money. Most don’t. Many college graduates are already mired in debt because of student loans and easy credit. When wealth is significant it has a way of fracturing family dynamics. It challenges even the most basic of communications between loved ones. If you are fortunate enough to leave an inheritance to future generations will it be a blessing or a curse? To the degree there is wealth there must be communication about wealth. Have you clearly communicated and modeled your philosophy about money? Do your kids know what your expectations are? Do you know what your kid’s expectations are? A philosophy is nothing more than a set of answers. Your financial philosophy – the one you pass on to your children – will be the sum total of the answers to your questions about money. But are you asking the right questions? The best way to start a dialogue is with a question. Where should it go in the end? Are my heirs equipped to handle their inheritance? Will my children and my children’s children share my family stewardship philosophy? Pass along training as part of the inheritance so that what is passed will also be blessed. Help your family discover the great joy of giving; develop a vision for sharing. 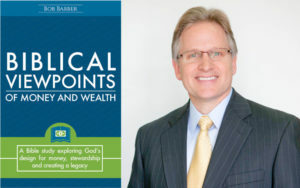 In their book Family.Money., the authors David Wills, Terry Parker, and Greg Sperry of the National Christian Foundation provide great insight into financial philosophy. They also provide a guide to the Family Conversation about money. As a Kingdom Advisor, I am uniquely qualified to assist clients with these family stewardship initiatives. Ask me how I can help.